Professional Tree Services Newport, Cwmbran, Chepstow, Cardiff. Maindee Tree and Garden Services Tree experts with over 30 years experience, your local tree service for Newport, Cwmbran Chepstow and surrounding areas. Qualified arborist for tree care, tree removals, fencing, landscape gardening. At Maindee Tree and Garden Services we like to show our expertise in arboriculture and our commitment to the best results for all your tree maintenance requirements. 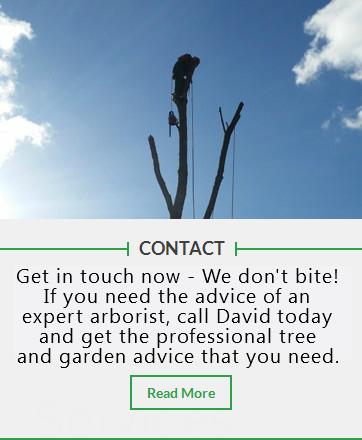 We always recommend that you use a tree expert and arborist such a David Robbins (our head tree surgeon) when you need your tree work done right. We are able to provide a full range of arborist tree services to suit any individual tree care, gardening or landscaping requirement. As expert arborists and tree care specialists we respect trees, therefore any tree removal would be after considering any other available options. 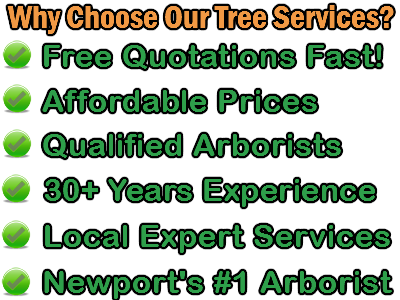 Low cost tree surgeon Newport, landscape gardener and highly skilled fully qualified arborist. Tree Consultations. Maybe you have a larger project such as tree planting and layout for planting new trees, perhaps you just have a few questions regarding the care of your trees. If you would like us to visit your property for a personal inspection then contact David at Maindee Tree and Garden Services and he will happily answer any questions you may have, as a qualified arborist David will be able to give you recommendations and or diagnosis. Even if you simply require advice on aesthetics, balance, lawn care, shrubs or landscaping we have many years of experience and we will give great advice on any tree care issue. TPO’s or Tree Preservation Orders. TPO’s are put in place for many reasons to preserve our trees which are essential to our environment, however if you have a tree with a tree preservation order, again David can give you expert advice on exactly what can be done as far as thinning, crowning, lopping and even possible removal. Whilst tree removal permission for a tree with a TPO can never be guaranteed, older trees can be diseased and therefore often dangerous to your home, your family and the general public. In this situation you need an experienced arborist who can diagnose any disease, identify dangerous limbs and or trees and act on your behalf communicating with the local authority to solve issues that are presented by dangerous trees with tree preservation orders. Dead Wooding and Pruning. These are tree services are normally carried out at the same time, dead wooding and thinning helps to keep your trees healthy. You should never trust thinning pruning or crowning to a person that is not a qualified arborist, we see this all the time and it often results in a great deal damage to a tree, it isn’t worth the risk. Call Maindee Tree and Garden Services and please do not use travelers on your trees we have had to take down once healthy trees, these people are not qualified in tree surgery or arboriculture and they will cost you more in the long run. Hazardous Tree Assessment. Most home and business owners have no idea what a hazardous tree looks like, we do. Assessing trees that are likely to be a hazard presently or at some point in the future is a specialty of Maindee Tree and Garden Services. We can assess hazardous or dangerous trees on your property. help prevent risk to your family, the general public or your property by allowing us to identify and deal with them quickly. 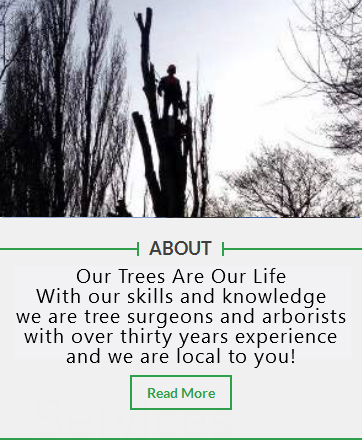 Tree Surgeons Newport with over 30 years extensive experience in tree care, forestry and landscaping Maindee Tree Services provide affordable tree care for Newport Cardiff Chepstow and surrounding areas, a highly experienced expert tree surgeon Newport. We keep our prices low but keep our service high by being a home based business without the usual overheads, therefore we are able to pass savings on to our customers that other tree surgeries cannot, having been the Newport Borough Council Forestry Services Manager David has been trained by some of the most experienced tree and forestry experts in South Wales. This is why we truly believe that we are the first choice Tree Surgeon for Newport, Chepstow Cardiff and South Wales. Who are Maindee Tree Services Expert Tree Surgeon Newport ? David started Maindee Tree Services in 1998 with the aim of keeping costs down for local home owners and has built up a large client base over the past 18 years. This soon grew into a very busy local business in which he has carried out skilled specialist work in the region and beyond for many clients. Maindee Tree Services in 2010 contributed to a newly created tree surgeon and arboriculture online course resulting in a successful introduction to arboriculture for students across the UK. Who Does Maindee Tree Services Work For? Besides many larger clients we really do both enjoy and prefer to work for private customers so if you are looking for an expert tree surgeon in Newport then you have come to the right place. 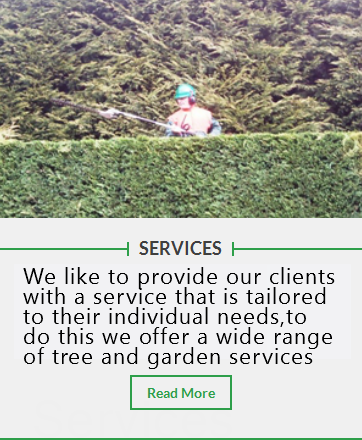 Through a personal approach and our love for the profession, creating a committed and enthusiastic approach to your trees and greenery work we are certain that you will be delighted with our prices, our expertise and knowledge and our commitment to high levels of customer services. We quite often work on larger projects where we work on a piece rate basis but for individual home owners we will give you a price and stick to it, no extras no silly hourly rates and no call out charges that’s the guarantee from Maindee Tree Services Newport. Please contact us for a free no obligation quotation, it costs nothing to call us out to give you free advice and a price for any works required, and if that’s nothing then it costs you nothing. Tree Surgeon Newport Maindee Tree Services Offer Quality Reliability and Great Service. The best tree surgeons are also experts in arboriculture and have a vast knowledge of trees, disease, fungus and other things such as soil light and infestations that may effect the health and well being of trees and surrounding plants. Qualified tree surgeons will be able to correctly identify the type of tree and the correct Latin name of that species along with any problems or disease that may be associated with the tree concerned. Professional tree surgeons work quickly and safely and you will often find that a professional tree surgeon will actually be able to complete your tree work at a lower price than many hawkers and add jobbers, because that is what a professional tree surgeon does every day, therefore a good tree surgeon will be able to carry out these works quickly and safely. Tree Removal Service for Newport, Cwmbran, Chepstow and Cardiff. We are specialists at tree removal, although no one really wants to see a tree felled, this is often essential as trees can and do become dangerous, and of course roots of trees close to buildings and drive ways often cause damage when allowed to over grow and grow out of control. Not Just A Tree Surgeon for Newport Gwent.